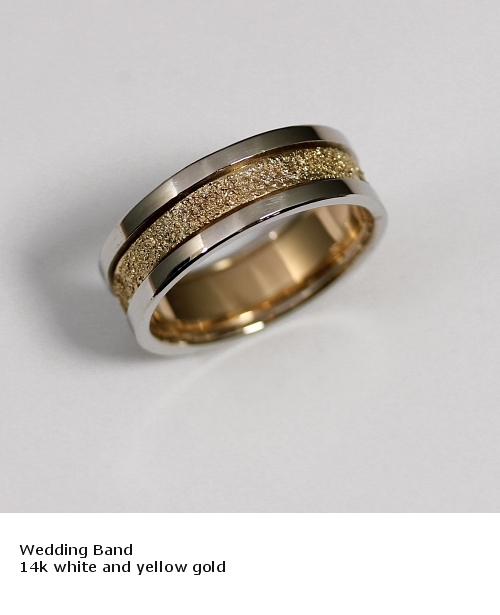 Custom wedding rings, engagement rings, and sets. It starts with a conversation and anything is possible. Together we create a design that reflects your relationship, personality, lifestyle and aesthetic. From the conversation comes a series of sketches that we review together before the piece is made. I can incorporate gold or stones from an heirloom or sentimental piece or start completely fresh. Contact me to set up an appointment for a free design consultation.